Earlier this year, my husband and I visited a cemetery in Northeast Philadelphia so I could fulfill some findagrave.com photo requests. It was a beautiful, mid-sized cemetery that is still in active use. The place was filled with more azaleas than I’ve ever seen in one place—it was absolutely beautiful. As we left, we drove past the entrance to another NE Philly cemetery called Greenwood. I didn’t know much about it, so I spent some time researching and then planned a visit with a friend to check it out. Greenwood, also known as Knights of Pythias, opened in 1869. 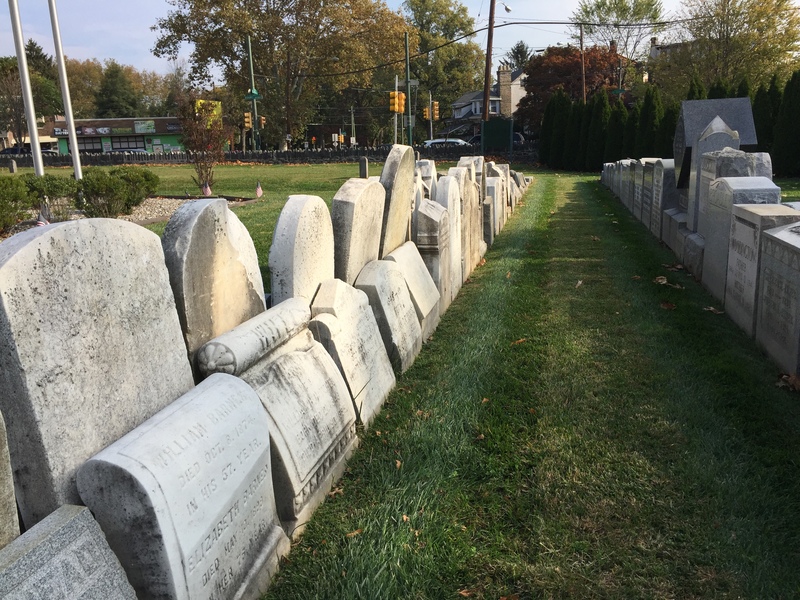 In more recent years, the cemetery became quite overgrown—a plight many of Philadelphia’s historic cemeteries have faced. Despite this, burials were still happening and the cemetery was bought in the early 2000s by a company wishing to build a crematorium on the grounds. A Friends group of concerned citizens was formed around this time. Fast forwarding to 2008, a majority share of the cemetery was bought by a holding company of the hospital which is situated past the back end of the property. 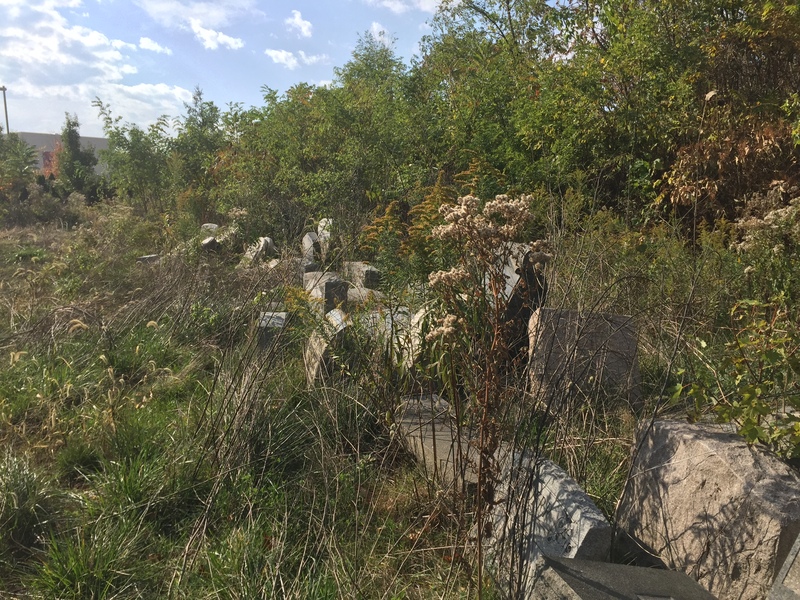 This entity has worked to restore the cemetery—removing trash and debris, righting fallen headstones, refinishing metal markers, etc. However, they also relocated well over 2,000 burials from the back of the cemetery to the front in a mass grave. There is now a large memorial featuring granite slabs carved with the names of those moved. Most of the names are preserved, but most of the original headstones are gone. There are some lined up behind the memorial and still others left lined up in the overgrowth at the back of the cemetery. For genealogists and others seeking information on their ancestors, the lack of stones is a detriment—gone are full birth dates, place of birth or death, and familial connections. I understand what a burden it can be to try and care for a cemetery that has been neglected, but I still fill the sting for those with family buried here. There are still many stones covered with bamboo, small trees, and vines. Perhaps a second visit in winter is in order.